At the first glance, "default gateway not available" seems to be a problem of router. But our system just reset the Wi-Fi adapter in computer, which indicates that the gateway is the gateway in my computer. Then it is clear that "default gateway not available" is a problem of network configuration. Just as many computers using LAN and DHCP, I left the network configuration to be automatic, and why configuration error still happens from time to time? It turns out that in some cases windows will turn off the network adapter to save energy, and when the device is down, it is impossible to connect to the Internet. Solve the problem permanently is fairly easy. 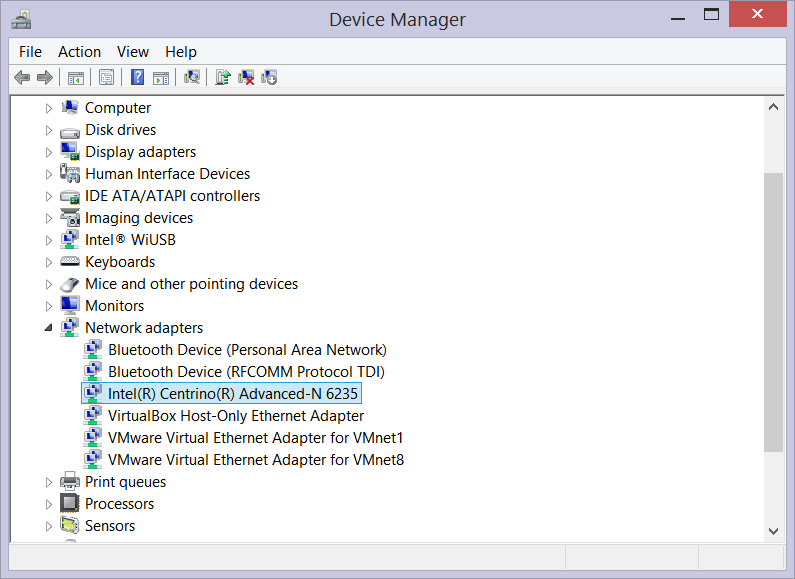 Just open Device Manager (in Windows 8 you can use a shortkey Win + x), find your network adapter that brings you to the Internet, right click to look at its properties. 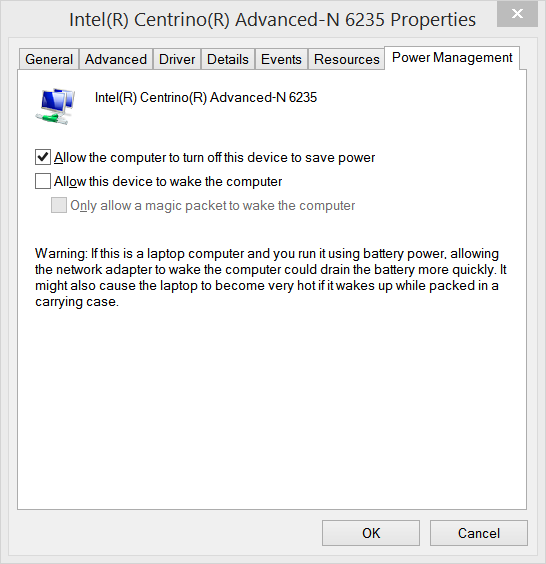 In Power Management panel, uncheck "Allow the computer to turn off this device to save power".